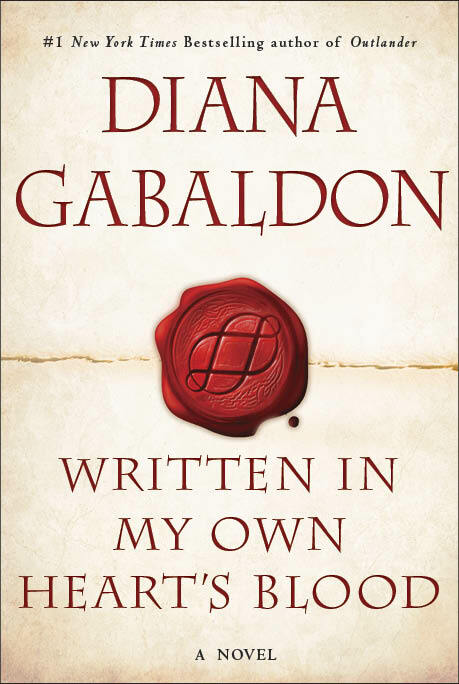 Diana Gabaldon, the New York Times bestselling author of the Outlander series, has revealed the cover for the eighth book in the series titled Written In My Own Heart's Blood, which is intended to be released on December 10, 2013 in the US. The cover especially premiered over EW.com accompanied by a very short and intriguing interview. The book has been three or four years in the making since the release of the last book in the series entitled An Echo in the Bone. This romantic book continues Claire Randall's time-travelling adventures. In June of 1778, the world turns upside-down. The British army withdraws from Philadelphia, George Washington prepares to move from Valley Forge in pursuit, and Jamie Fraser comes back from the dead to discover that his best friend has married Jamie’s wife. The ninth Earl of Ellesmere discovers to his horror that he is in fact the illegitimate son of the newly-resurrected Jamie Fraser (a rebel _and_ a Scottish criminal!) and Jamie’s nephew Ian Murray discovers that his new-found cousin has an eye for Ian’s Quaker betrothed. You can pre-order Written In My Own Heart's Blood.